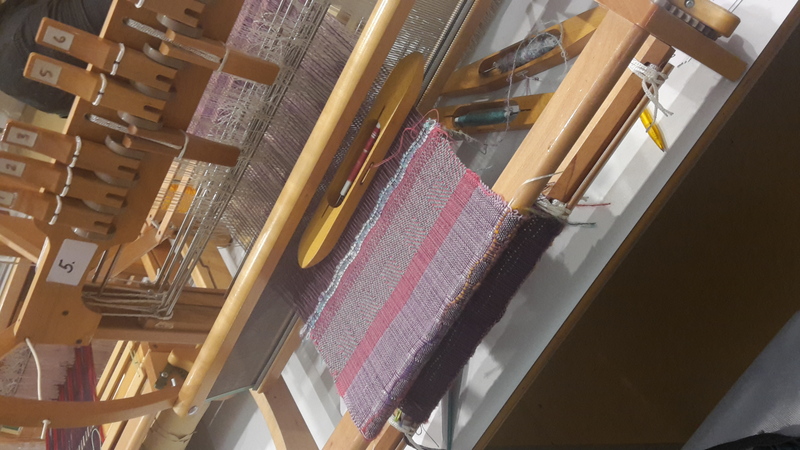 As a volunteer at the Huguenot Museum and a weaver, the opportunity to attend the Margo Selby Weaving Workshop was too good to miss. The 2-day workshop was held at the museum on the 16th and 17th February 2018. 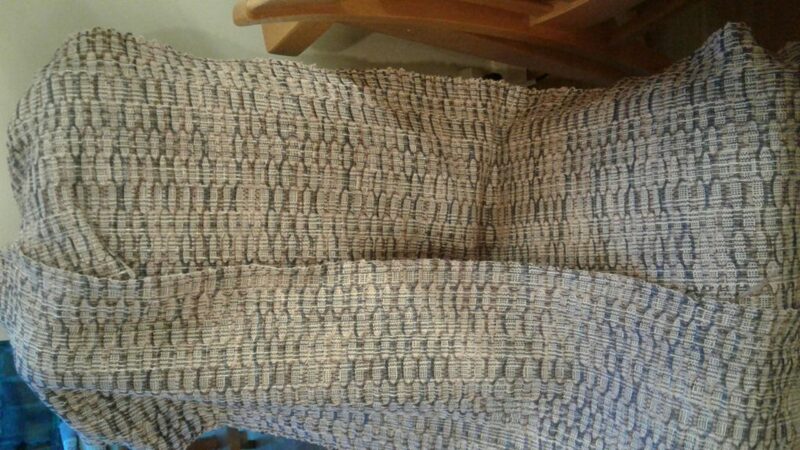 I have a 4 shaft loom that I use at home and was excited at the chance of using 8 shaft looms with Margo. With 8 shaft looms more complex weave structures can be created. 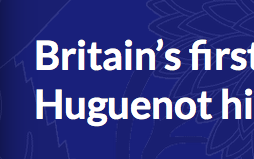 Margo had 8 looms which were all set up using different threadings, these would create a variety of woven patterns. It was a two day workshop and we were able to use 3 or 4 different looms. One loom in the morning and move to another in the afternoon (only if we wanted to). Since completing the workshop I have bought my own 8 shaft loom. 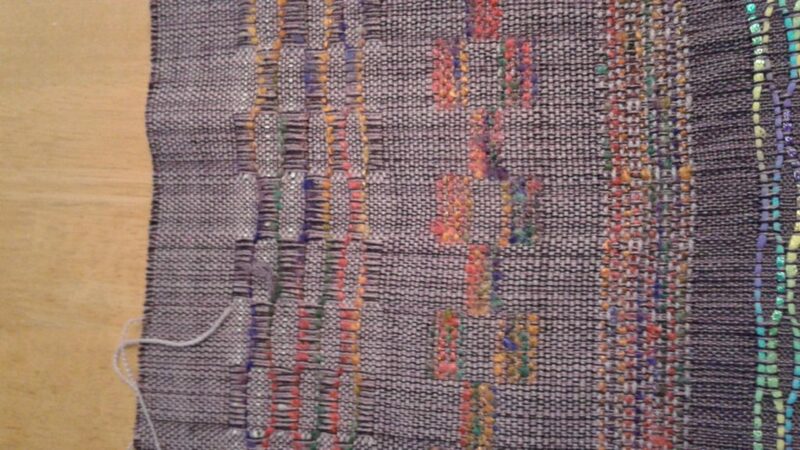 Using one of the patterns woven on Margo’s loom, I have just finished a length of fabric (photos of my weaving from the museum and another of the completed fabric length, 3 & 4). This will be used to make myself a unique top. 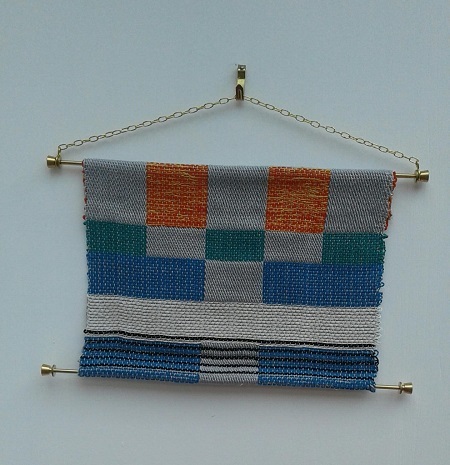 To find out more about the museum’s work with Margo Selby, read about the Exhibition itself here.